The reading this week on Julian Assange: The Rolling Stone Interview peaked my curiosity for more information. I have been exposed to the stories associated with this interview through the mainstream media. This story is one that would benefit from a lesson in ensuring you get your news from more than one source. 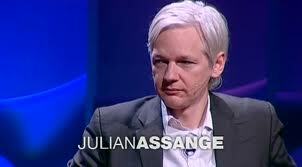 I watched another interview with Assange on Ted Talks. This was the first I had been exposed to the military video of the American soldiers taking out their civilian targets and their very concerning demeanor in doing so. If you haven’t seen this video you should. Public opinion is a fragile commodity. It can change based on new information you are exposed to. I can understand the concern that sharing this video would have for the safety of US soldiers on duty abroad. But it also gives some insight into why the American brand is not well thought of in places like Baghdad, Iraq and Afghanistan. This WikiLeak was very embarrassing for the American government and the military, and releasing it could bring harm to westerners working and living abroad, but in the interests of truth and transparency it was the only thing to do. I am glad that increasingly civilians are equipped with the tools to share these types of stories with the world and that technology and WikiLeaks is enabling people to do so. It is good for those with great political and military power to know that others are watching them too.